I think I said I would be taking pictures of the super moon. Well I was having camera problems and it just didn’t work out. Sorry! But I have been on the go since I last posted. I left Mono Lake and was heading up to Doyle, CA to pick up my mail I had sent there. I got a late start and thought I would have plenty of time but saw a sign for Bodie, CA and couldn’t resist checking this place out. 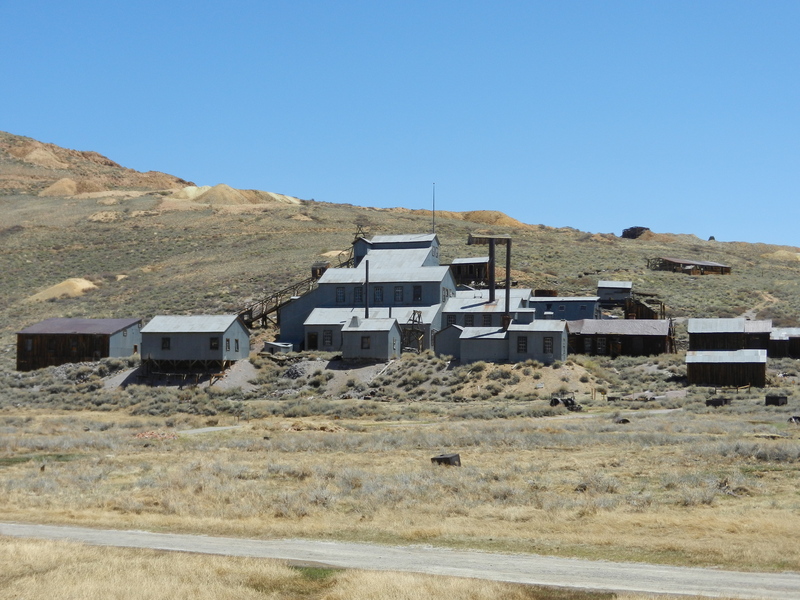 Bodie was an old gold mining town that is now a ghost town. The only residents there are the camp rangers. The drive is 13 miles off Hwy 395. But the last 3 miles are on a washboard gravel road. Not easily accessible. The gravel road was 15 mph tops with most of the time only 10mph. Talk about shake, rattle and roll. I parked in the parking lot and started walking to the pay booth. The ranger approached me and told me I couldn’t park the MH there but had to park it on the side of the road down further. Then I had to walk a ways to the pay booth. I noticed that he was giving out tickets to people that didn’t have their pay stubs on their dash. He gave me a break and told me that he knew I was in the Lazy Daze and I didn’t need to walk all the way back to put my stub in the window. Thanks Mr. Ranger. The town is really neat and most of the buildings are still standing although some of them needed support beams to keep them up. This is a pic of the town from a distance. There is a $7 charge to view the town. You can walk wherever you want and look into many of the buildings. However some of the buildings have glass covering both doors and windows and it makes it difficult to take pictures. Especially because the glass is very dirty. This building like many others needed some additional support. Considering many of these buildings were built in the mid 1800’s and have seen their share of weather, they are in pretty good shape. Early form of transporting all the gold and other sundry items. This is the gold mining operation. The firehouse with the fire engines. The old schoolhouse. It was really neat looking inside because all the desks were still in order. 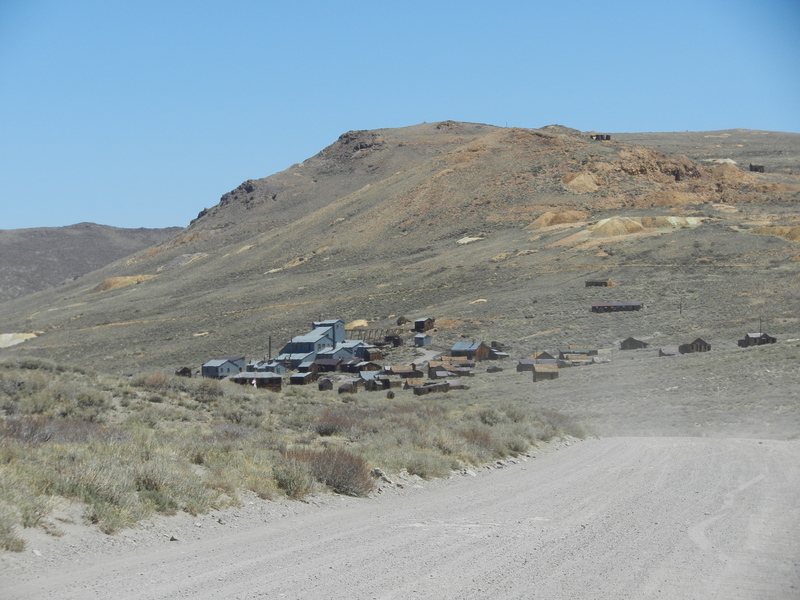 This is the main street in Bodie. They did have a rather unique museum with all the interesting stuff found in the town on display. 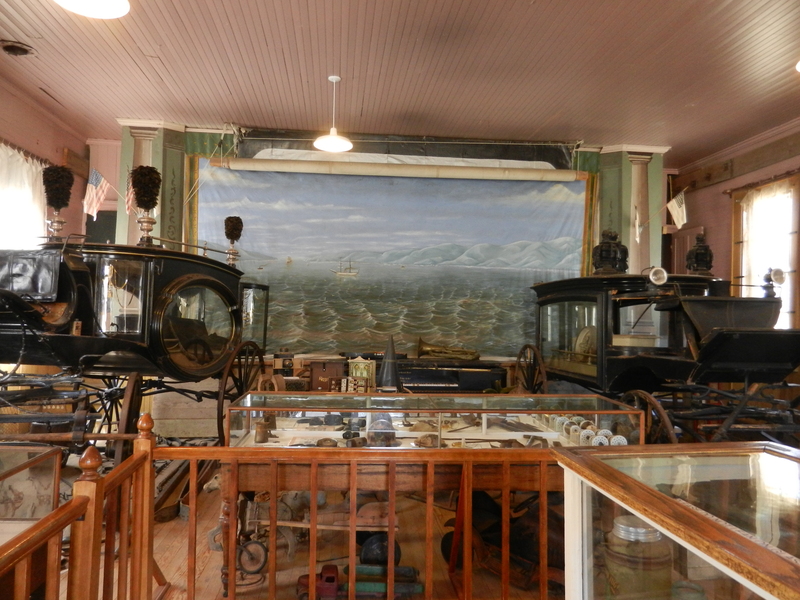 This is the town saloon. I bet a lot of crazy stuff occurred here in it’s heyday. 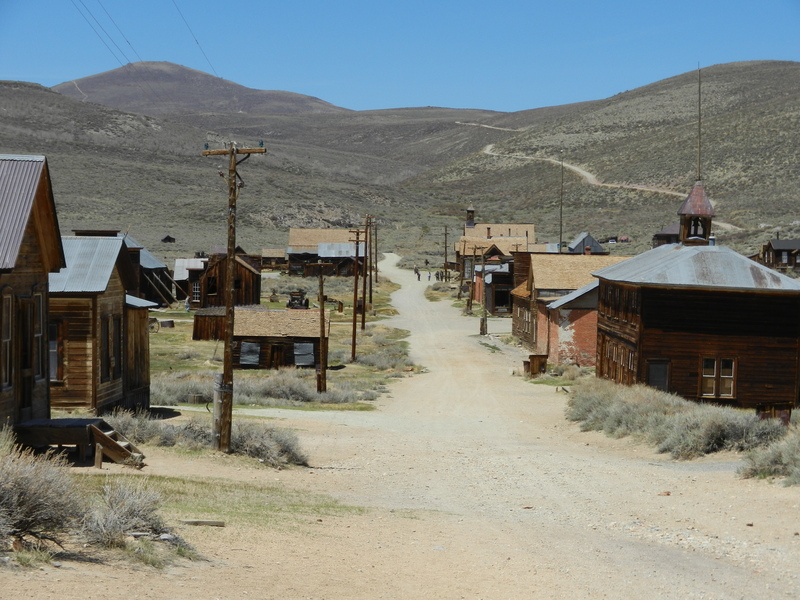 By the time I traveled to and from Bodie I missed getting to the post office in Doyle, CA to pick up my mail. However it was well worth the time to sidetrack and check out this fantastic old ghost town. It is a tough ride getting into it on the last 3 miles, but well worth it. On the way to Doyle, I stopped in Walker, CA for gas $4.99/gal (OUCH!) and for lunch at Walker Burger. I was told by my friends Annie and Rick to stop here for sure. It is a GREAT place for lunch and has a really neat outside dining area. The burger was really super. I spent the night at Honey Lake RV Park. Not the greatest, but OK for an overnight. 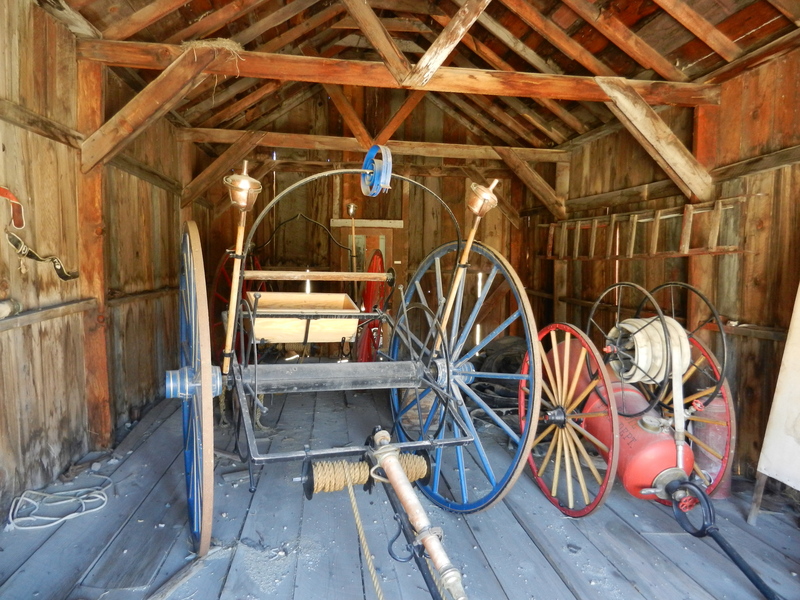 This entry was posted in Bodie, California, Walker Burger by Jim Melvin. Bookmark the permalink. Sure glad you made it there…every time we’ve been near there, the roads were still closed by snow. Thanks for sharing your photos. 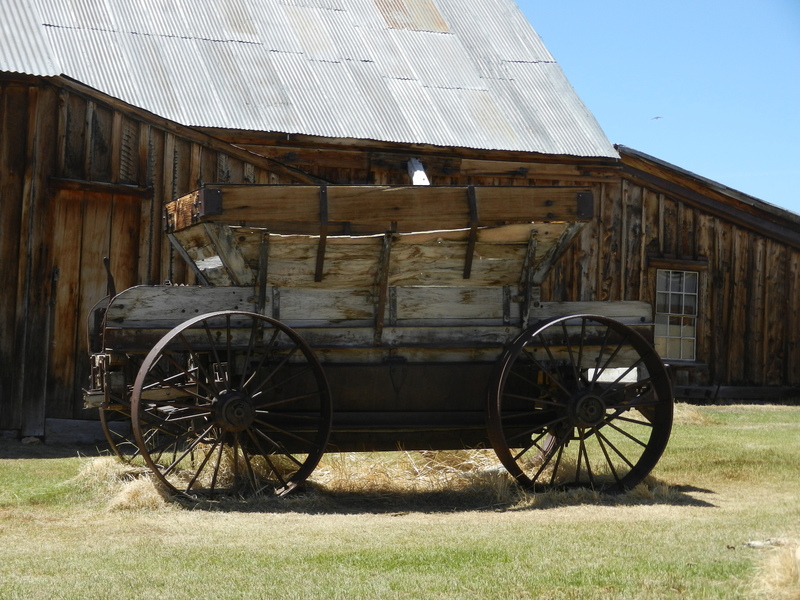 Old ghost towns offer such a great look into the history of our country. I love the stories of people who used to live there and what their lives were like. Great side trip. 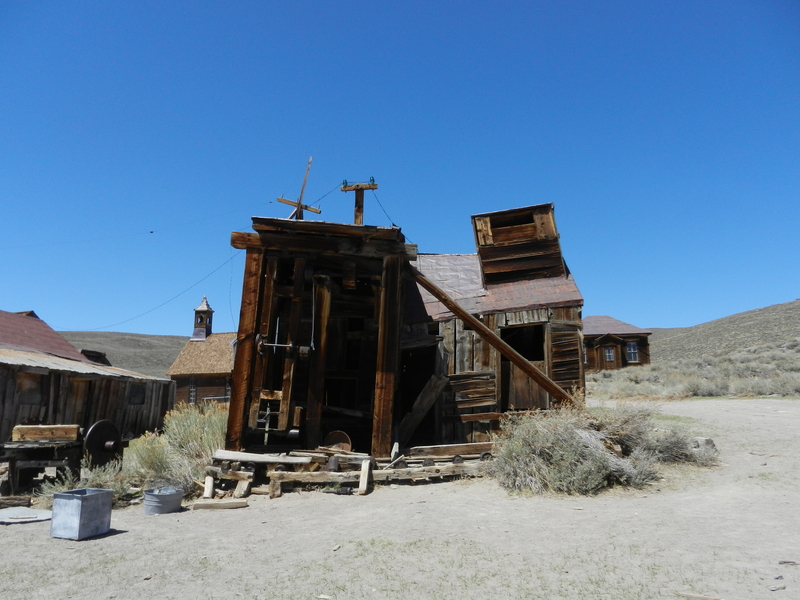 I doubt I will ever visit Bodie, so thank you for the photos. 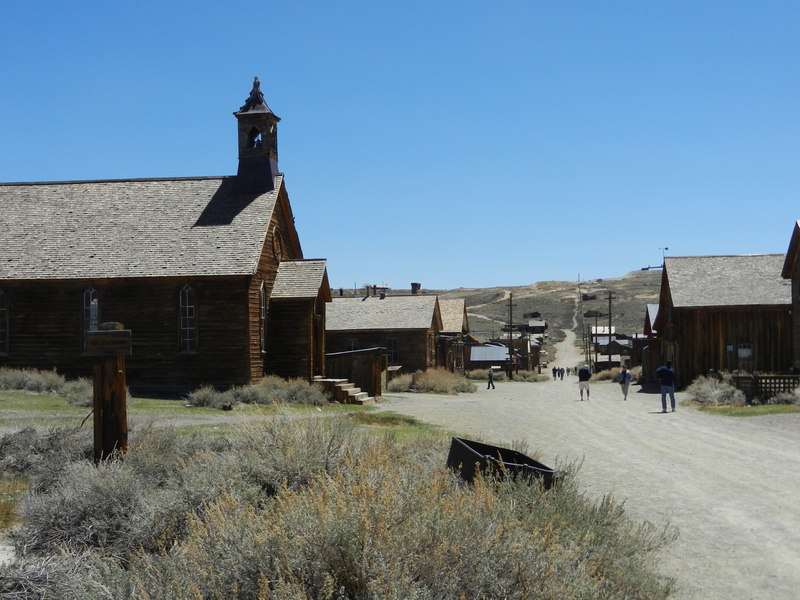 Have been to Bodie several times over the years…….we used to drive to where the pavement ended, and then ride our bikes the rest of the way into town….saved the $7, and made it easy to ride from site to site. They keep Bodie in what they call a state of “Arrested Decay”. Walker is also a very cool place. I’m jealous….I love this area of the Sierras! Looks like you just stepped back in time…cue the Twilight Zone music! I sure hope to visit there someday. Great photos Jim! 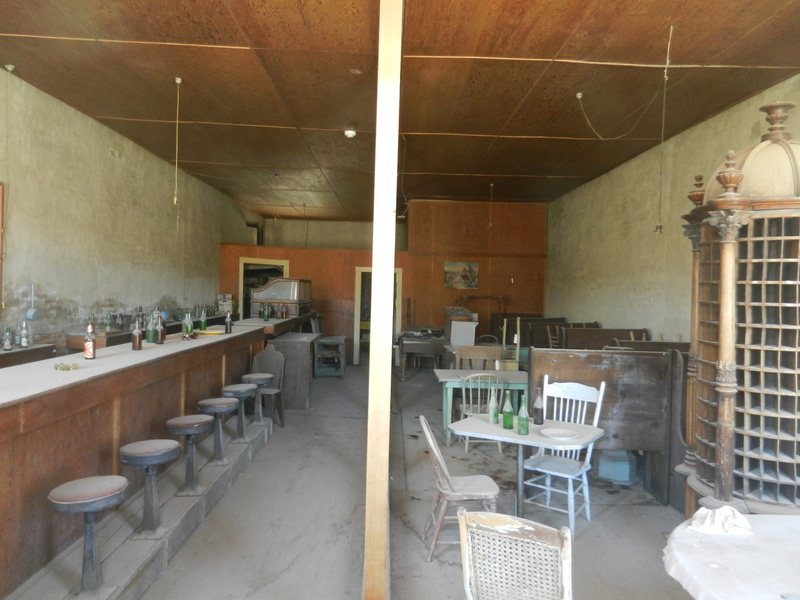 The ghost town reminds me of a place close to me— Goldfield & Tortilla Flats, here in AZ. Both worth seeing if you are ever visiting here near Phoenix. Thanks for sharing your pictures & information. I am enjoying your travel + work adventures blog. You always include great information and photographs!